. 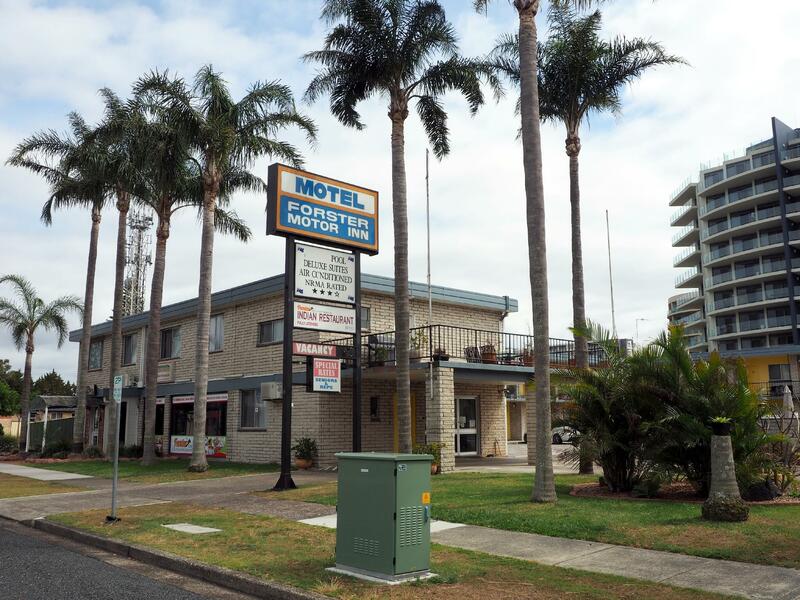 كما يقدم Forster Motor Inn الكثير من الخدمات لإغناء رحلتك في فروستر. يقدم الفندق واي فاي مجاني في جميع الغرف, محطة شحن السيارات الكهربائية, خدمة التنظيف يوميًا, مجهز لذوي الإحتياجات الخاصة, مرافق مخصصة لذوي الاحتياجات الخاصة لضمان الراحة القصوى لضيوفه. ادخل إلى واحدة من الغرف 28 وتخلص من عناء نهار طويل بمساعدة مجموعة كبيرة من الخدمات كمثل تلفزيون بشاشة مسطحة, مرآة, اتصال لاسلكي بشبكة الإنترنت (مجاني), غرف لغير المدخنين, مكيف هواء الموجودة في بعض الغرف. يقدم الفندق العديد من الفرص للاستجمام كمثل مسار جولف - ضمن 3 كم, حمام سباحة خارجي, حديقة. مهما كانت دواعي سفرك فإن Forster Motor Inn هو خيار ممتاز لإقامتك في فروستر. 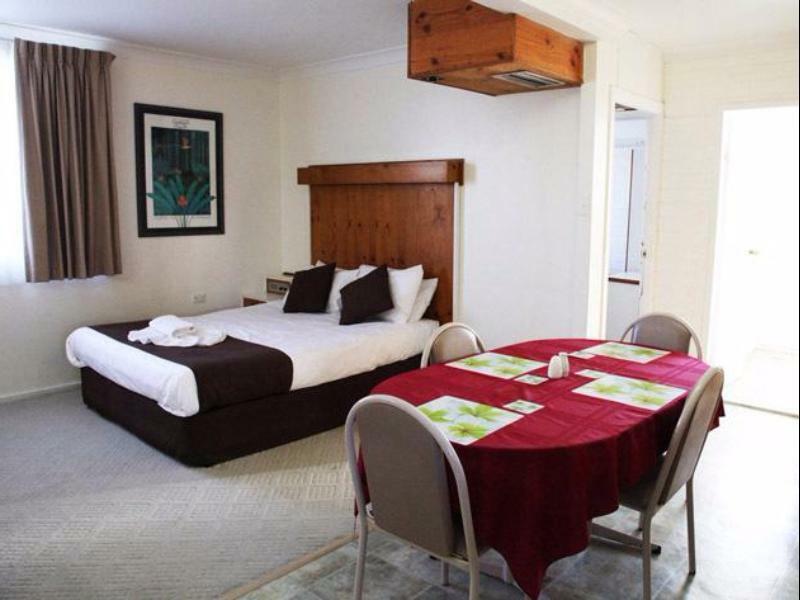 Excellent location with a short strill to town for cafes, restaurants and shopping. Short stroll to Relax along the river or lovely afternoon walk. 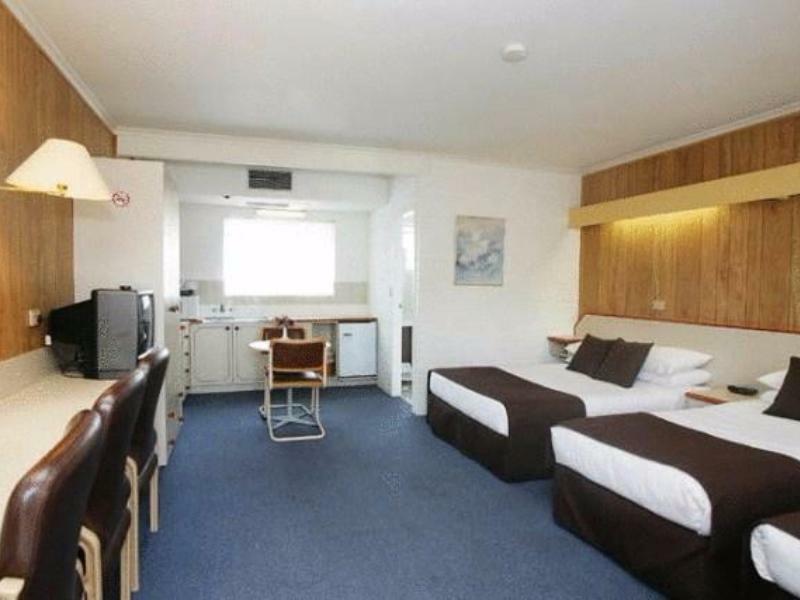 I booked last minute and the room was clean, spacious, plenty of hot water and a small kitchenette. Motorcycle Friendly motel. I would recommend an upstairs room however overall the motel was quiet. Decor and fittings are very old ,but neat and tidy,couldn't get proper television reception. Expect to be greeted by a warm and friendly welcome. The staff are lovely and the location perfect. The room was comfortable and very clean. Great value! Basic, but clean , comfortable, good service. 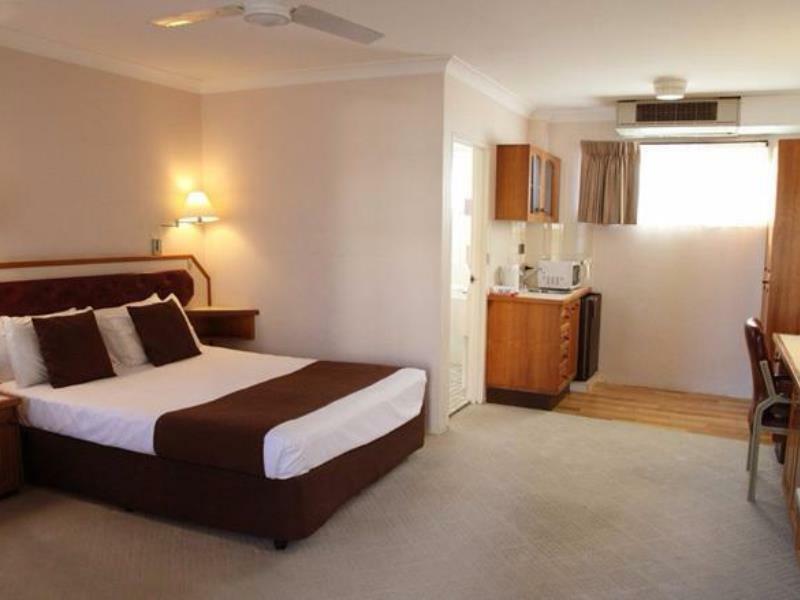 Good air con and bed, acceptable shower and toilet. Good parking. Pool small but clean. Excellent location. More expensive than expected in Europe, but this was all that was available for Christmas holidays so we were very happy with it. We were t self catering, but could have done very easily from here. thank you 65000 litre pool?? We were at Forster for my partner's triathlon challenge. The licensee was very friendly abd thoughtful about our timing and needs. The location was perfect for the race as well as cafes and restaurants. Definitely will reccomend this place! 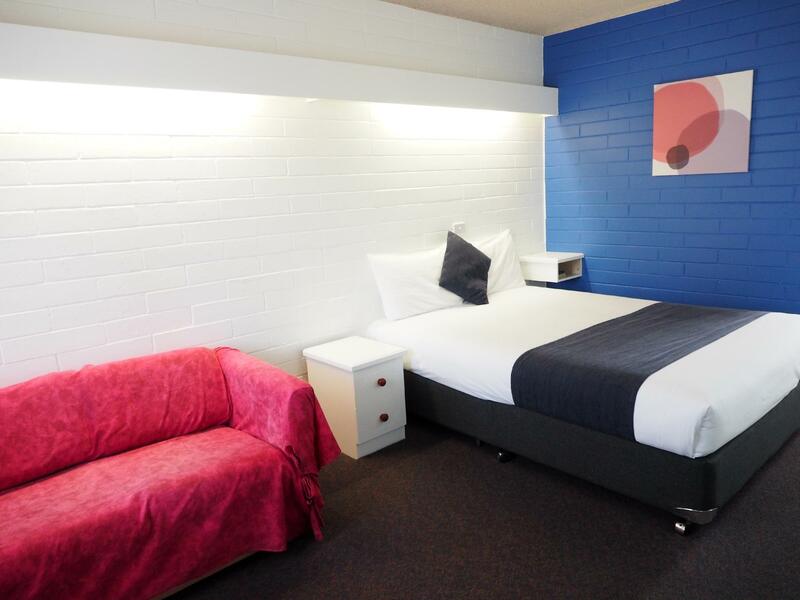 Stay at Forster is good, clean rooms and friendly staff. Quick check in and checkout, rooms were clean and comfortable, would recommend to friends and family. Motel was pretty old and run down and considering we paid exactly the same at a motel the day before, this place was not to expectations. 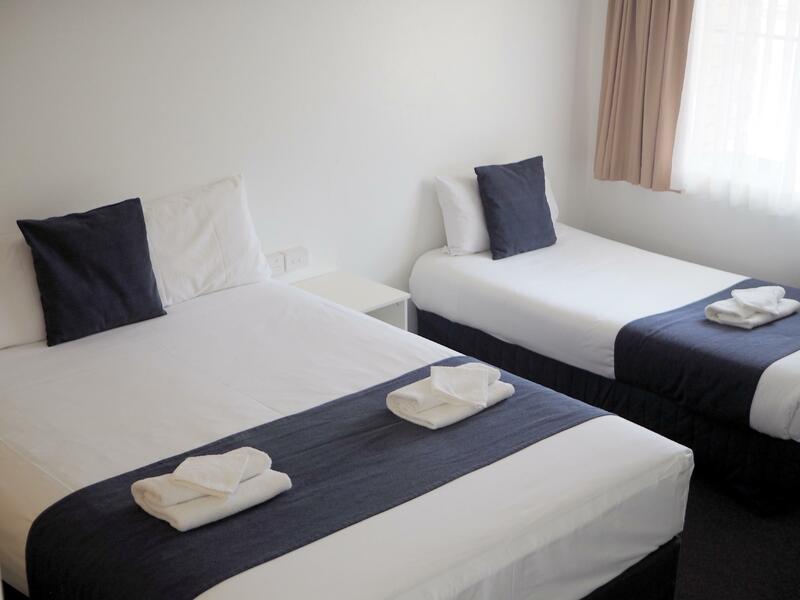 Prompt attention on arrival,easy parking and pleasantly quiet. Very poor facilities, such as: 1. old bathroom with bad showering control (hot and cold water kept changing every minutes, so didn't enjoy showering) 2. most importantly the heated pool was really dirty and actually unheated - with excuse machine broken down. 3. not very clean, lots of pets' hairs. 4. poor TV channel, only 1. not enjoyed. 5. Ironing not working. Good things: 1. Friendly staff 2. Don't worry about bringing your own plates or cutleries. 3. Linen and towels set provided. 4. Enough car parks.